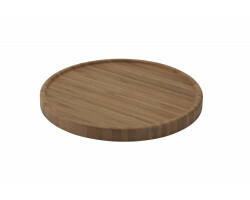 The Universal Bredemeijer® collection includes a wide range of tea and coffee accessories. 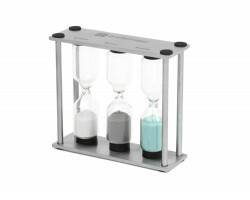 Give your tea the right strength with this modern tea timer! Select 2 minutes for light tea, 3 minutes for medium strong tea and 5 minutes for strong tea. The flavour and strength naturally also depend on the type of tea! Ask your tea specialist about the correct brewing method. 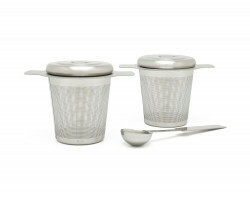 Two tea filters for using tea leaves. Fits nearly all glasses. The set also includes a tea measuring spoon. All components are dishwasher safe. Set of 4 tea mugs with retro print of yellow, green, pink and blue circles. The tea mugs are made from high-quality porcelain and dishwasher safe.